“You don’t have to agree with trump but the mob can’t make me not love him,” the rapper told his 19 million followers. Kanye went on to tweet photos of his autographed “Make America Great Again” baseball cap and another photo of him wearing the hat. 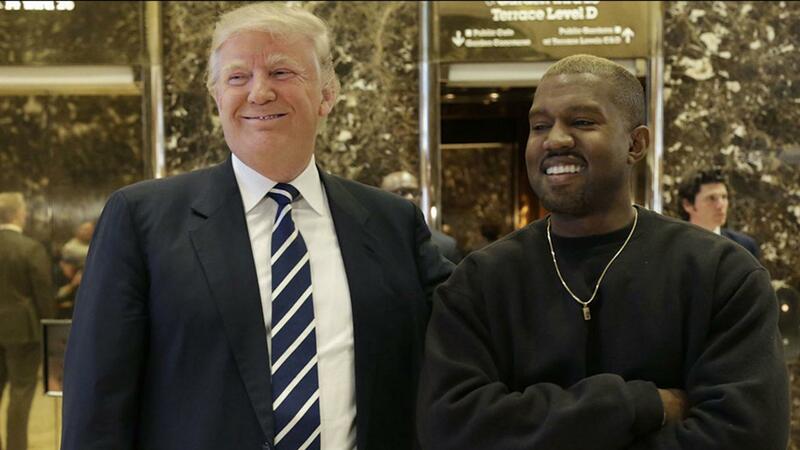 President Trump later retweeted Kanye’s post with the comment “Thank you Kanye, Very Cool!” Trump has said in the past that he and Kanye are very good friends. Kim Kardashian jumped on Twitter following Kanye’s tweet storm to defend her husband and express her anger about the media implying that the father of three was potentially having a mental breakdown that led to the tweets. “To the media trying to demonize my husband let me just say this… your commentary on Kanye being erratic & his tweets being disturbing is actually scary. So quick to label him as having mental health issues for just being himself when he has always been expressive is not fair,” the E! reality star said on Twitter. Kim Kardashian has been strong in her opposition to President Trump’s agenda, but supports her husband’s opinions on the controversial POTUS. In December 2016 when Trump was president-elect, Yeezy visited the future commander in chief at Trump Tower in New York City. After the meeting, Kanye went on Twitter to let his fans know why he met with President Trump, saying that they spoke in detail about gun violence in Yeezy’s hometown of Chicago and how they can help solve the issue. The tweets were later deleted in what many saw as Kanye taking back his support of Donald Trump. It turns out that this was not true at all and that the man who once rapped “Baldin’ Donald Trump taking dollars from y’all” on his 2010 record “So Appalled” is all in on his support for President Trump. And also I'm all the way out the sunken place. And I'm not scared anymore. I'm not scared of the media. I'm not scared of the past and I'm optimistic about the future. This tweet is in love not fear.